European traditional charm captures shimmering lake and breathtaking mountain views. 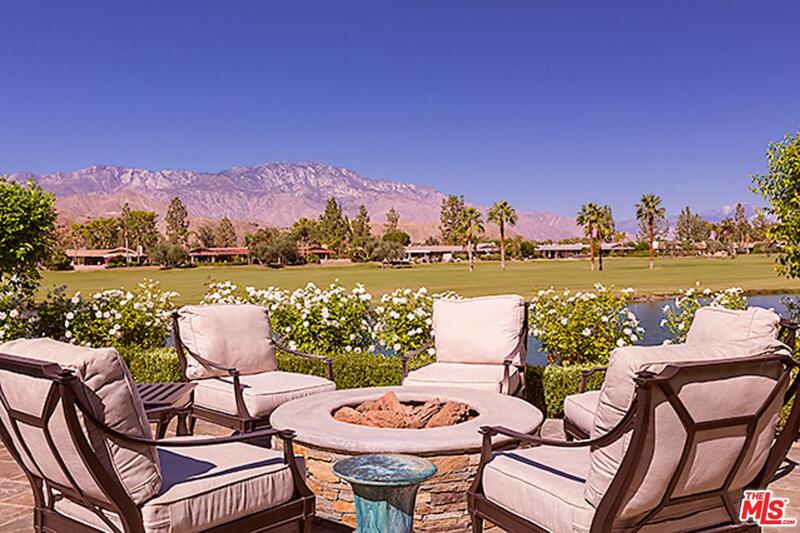 Situated at the edge of a lake and overlooking two Morningside golf course fairways with views of Mt. San Jacinto & San Gorgonio from this prestigious Morningside home. The home has recently been rebuilt from stem to stern, completed in the spring of 2016 and reflects a casual, elegant and sophisticated desert lifestyle with a classic traditional decor where every detail has been thoughtfully considered. The home features extensive woodworking craftsmanship in ceiling crown moldings, door and window casings and flooring base. The ceiling plate was raised a foot in every room and rooms were enlarged or completely rebuilt. A Powder Room was added and a walk-in Master closet extended and custom fitted. Rewired, re-plumbed entirely with the finest polished nickel faucets and shower fittings, four separately controlled air-conditioners, along with eleven skylights added to enhance and brighten spaces. Based on information from CARETS as of 04/22/2019 4:01 am. The information being provided by CARETS is for the visitor's personal, noncommercial use and may not be used for any purpose other than to identify prospective properties visitor may be interested in purchasing. The data contained herein is copyrighted by CLAW, CRISNet MLS, i-Tech MLS, PSRMLS and/or VCRDS and is protected by all applicable copyright laws. Any dissemination of this information is in violation of copyright laws and is strictly prohibited.